This month, Monadnock Buy Local is focusing on how we can embrace the "Invest Local" movement in our region. We'll highlight current opportunities -- and ideas that could become opportunities in the future. Economist and author Michael Shuman and the Sun Valley Institute for Resilience are partnering with economic developers to create a series of state-specific handbooks to jump start local investing. Each book includes tools and resources for local investors, local businesses and finance professionals, plus a wealth of case studies highlighting the opportunities and challenges of each tool. Read Washington State's book. Monadnock Buy Local is in the very early stages of assessing interest in a New Hampshire Dollars, New Hampshire Sense book. 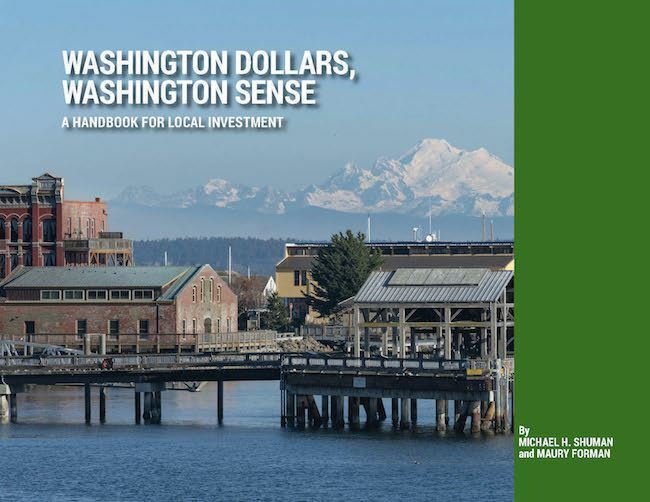 Washington Dollars, Washington Sense: A Handbook for Local Investment is the second in a series of handbooks to spur local investment in all 50 states. 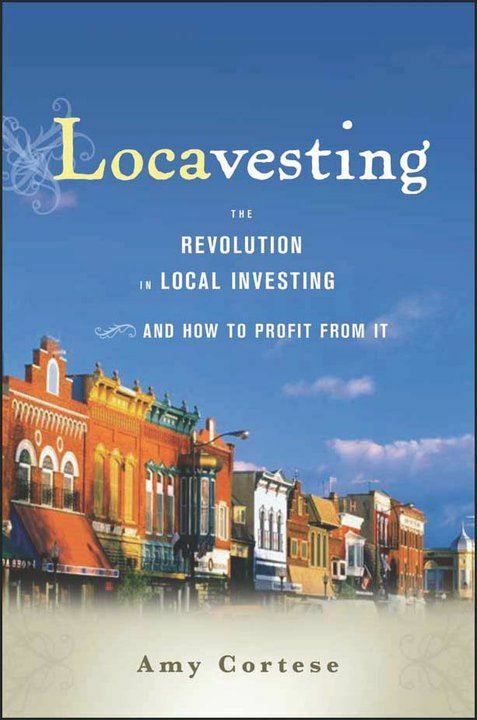 It contains dozens of tools, case studies, and resources for investors, rural and underserved communities and entrepreneurs to build wealth in their own communities through local investment -- and it’s free! Small businesses—which by definition are locally owned—create two out of every three jobs in the U.S., employ half the private workforce and generate half of private GDP. They create local wealth by keeping money circulating locally—that’s called the local multiplier effect. They provide the foundation for a healthy and diversified local tax base, and contribute to the health and well being of their communities. Studies links the presence of small businesses to everything from better physical health to greater community engagement. Finally, these local enterprises give the places we call home their special character and identity—imagine life without your favorite café, coffee shop or bookstore! Read More: Why Invest Local? The money that people and institutions invest in us, combined with our own capital, create the pool of funds from which we lend to create opportunity for affordable housing, child care and jobs for families with low and moderate incomes. Read more about the NH Community Loan Fund's Opportunity NH Investments Program.